Special Packages are available and constantly changing. Plus: MENTION THAT YOU ARE BOOKING BY SEEING RUMOURS ON SMALL ELEGANT HOTELS AND RECEIVE A 15% DISCOUNT ON YOUR ACCOMMODATION PACKAGE. 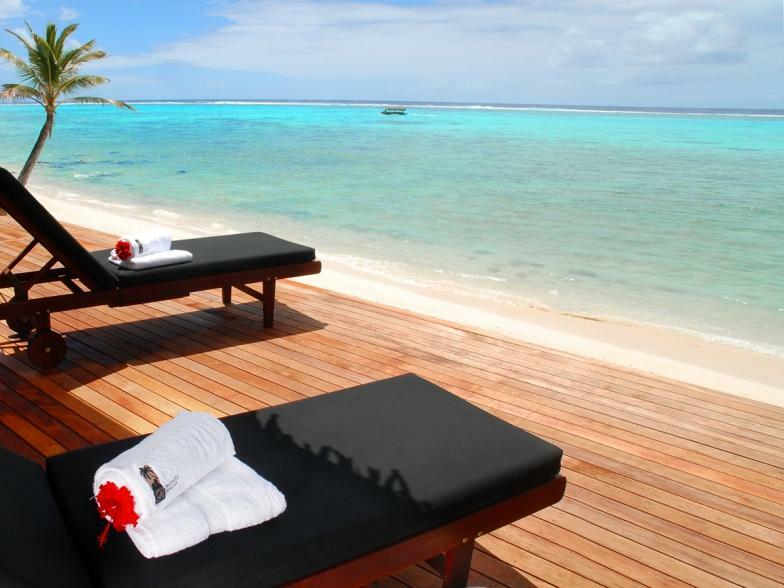 Let the pressure of today's fast paced world just drift away at the Small Elegant Hotel Rumours Luxury Villas and Spa, our discrete all villa luxury resort in the fabled and romantic Cook Islands. Immerse yourself in a world-class standard of exclusiveness, romance and indulgence. New for 2008 our brand new spa facility will add a carefully selected range of the best Polynesian, Eastern, and European organic and herbal holistic treatments to rejuvenate, refresh, and invigorate your soul, and stay etched in your memory long after you leave. 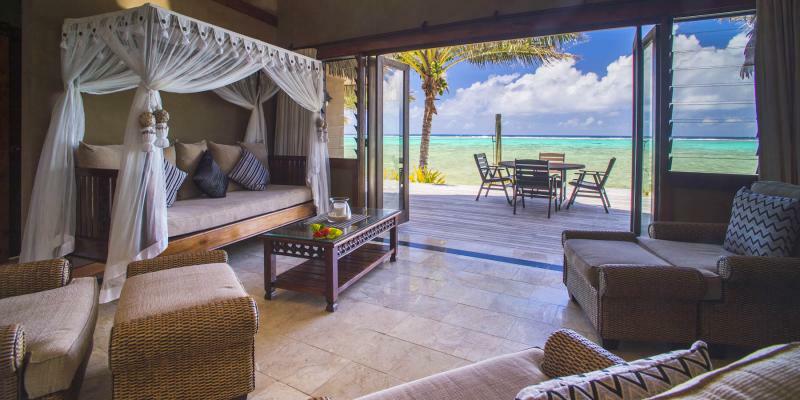 From the deck of your beachfront villa or bungalow, you can step onto a white sandy beach and enjoy the clear, turquoise waters of the lagoon and white sandy beach. The resort's absolute beachfront villas are tastefully decorated in Polynesian style with all the luxury features you could desire. 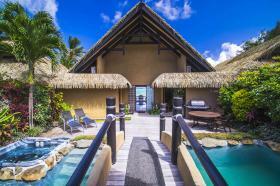 You will be treated like a VIP from the moment you fly into Rarotonga’s international airport. There you will be met by our personal representative, who will greet you with the traditional South Seas welcome of a fresh fragrant flower ei' placed around your neck, and transfer you direct to your private villa. Rumours caters for the most discerning of guests, luxury travellers and special occasion couples seeking ultimate luxury as well as romantic South Seas weddings and honeymoons. Absolute Beachfront location; all villas have private decks, garden areas, and swimming pools; beachfront villas also have private jacuzzi’s, Ultimate villa includes a personal movie theatre room.